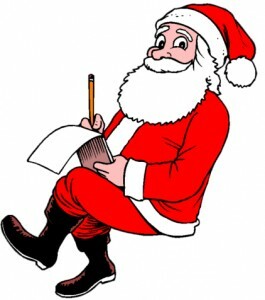 Discussions Magazine Music Blog: SANTA RECOMMENDS...ELVIS PRESLEY! CHRISTMAS is almost here! My elves are busy building toys, reading your e-mails and keeping busy. A few of them spend far too much time on Facebook these days, but we're still on schedule so I won't complain. Have you written out your Christmas wish list yet? No? Well, you better get busy. There's only a little time left before I load my sleigh up with gifts and make my journey around the world on Christmas night! If you are having a hard time deciding what you want, may I suggest this? 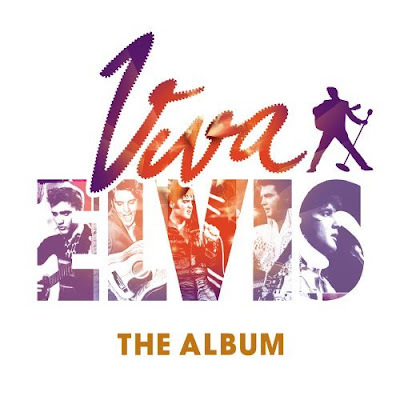 With The Beatles' Love a great success, the fine folks at Cirque Du Soleil focused their attention on the King Of Rock 'n' Roll and created Viva Elvis. While I have yet to see the show, I already know that it will be spectacular. I love what Cirque... does and I'm a huge Elvis fanatic, so how could I not love it? I must admit that I was a bit hesitant on listening to this soundtrack to the show because, unlike the Beatles music, this soundtrack consists of Elvis' original vocals and entirely new music. It's not just modern re-recordings of the original music: most of this material is given a whole new musical wardrobe! "Suspicious Minds" is damn close to being a modern Alt-Rock classic. "That's Alright" adds so many different dimensions, it's almost a different song. In fact, every track here retains the spirit of the original yet becomes a whole different beast altogether. It's like listening to Elvis with a new set of ears. Gonna go listen to it again now! I must get going now. Mrs. Claus needs some help in eating those delicicious peanut butter cookies and I don't want to miss out! They are fresh out of the oven, you know! Yum Yum!